QuakeCoRE is transforming the earthquake resilience of communities and societies, through innovative world‐class research, human capability development, and deep national and international collaborations. We are a Centre of Research Excellence (CoRE) funded by the New Zealand Tertiary Education Commission. Our Flagship programmes address five areas of multi‐disciplinary research, interconnected to understand and improve how our communities recover and thrive after major earthquakes. Our Technology Platforms are advancing the underpinning infrastructure needed for our research, from lab and field experimentation to complex community datasets and high performance computing. Translation of our research outputs into policy and practice is achieved through active participation with our stakeholders and end users in our research programme and education of the next generation leaders in earthquake resilience. QuakeCoRE is a Centre of Research Excellence (CoRE), one of ten currently funded by the New Zealand government (Tertiary Education Commission). Centres of Research Excellence (CoREs) are inter-institutional research networks, with researchers working together on commonly agreed work programmes. CoREs make a contribution to Aotearoa New Zealand’s development and link to user groups. They also build research capacity and capabilities through post-graduate programmes and the training of new researchers. An earthquake-resilient Aotearoa New Zealand where thriving communities have the capacity to recover rapidly after major earthquakes through mitigation and pre-disaster preparation informed by internationally-leading research excellence. QuakeCoRE will place Aotearoa New Zealand at the worldwide forefront of earthquake disaster resilience by utilising Aotearoa New Zealand as a natural earthquake laboratory, producing new knowledge on the seismic response of the built environment, developing models to understand vulnerabilities within this environment, and designing innovative technologies and decision-support tools enabling rapid recovery of Aotearoa New Zealand communities. 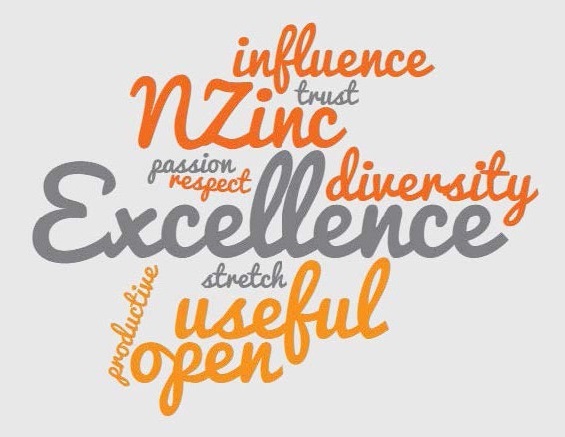 In QuakeCoRE, we strive for excellence and delivering research for the benefit of Aotearoa New Zealand that is useful, useable and used. We are doing this by creating a national collaboratory, that promotes a stimulating, supportive and productive environment within which researchers, practitioners and policy makers can come together to address our common goal of improving resilience to earthquakes. QuakeCoRE is committed to meaningful engagement with Maori and incorporating Vision Mātauranga into our programmes. Through the consultation with key Maori and research stakeholders, we are currently developing a Mātauranga Maori strategy that includes advancing Maori earthquake resilience and science education through meaningful engagement and the establishment of effective long-term relationships with Maori stakeholders. QuakeCoRE aims to establish and link multi-institutional national research programmes that are internationally networked. The research programmes are advancing the science and implementation pathways of earthquake resilience through system-level science with highly integrated collaborations coordinated across the physical, engineering and social sciences and relevant research institutions. We aim to share our research and passion for earthquake resilience with the wider community. QuakeCoRE is developing a programme of education, outreach and training (EOT) that engages with industry stakeholders, researchers on the disaster resilience, school students, and the wider community.